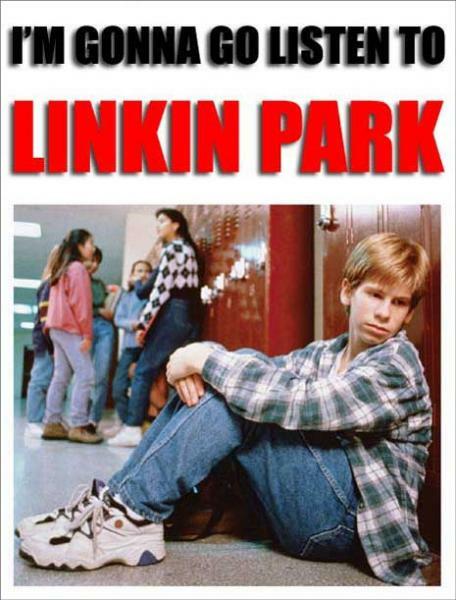 To call Linkin Park “emo” is a disgrace to the emo label. They have absolutely 0% to do with it. Yea, don’t diss on LP by calling them emo! Haha. They are more mainstream, but i don’t like them or emo music…I mean really don’t dig the whole emo thing, friends of mine keep taking emo pics and i’m gonna stab them…in the face…wiiiiiith a rusty screwdriver. And beat it in with a sledge hammer.